1.) My iPhone touch screen glass is really smashed so bad I can hardly see the screen can it be fix? 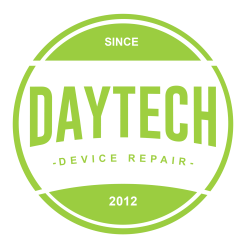 Yes, it doesn't matter how badly smashed the iPhone screen is we can still fix it the same day while you wait. 2.) What form of payments do you accept? We accept cash and all major credit and debit cards including Visa, MasterCard, American Express, and Discover. Sorry but we do not accept checks business or personal and we do not accept money orders. 3.) I tried repairing my device myself can I still bring it in for repair? Yes, no problem bring it in and we will get it working like new again. 4.) I have multiple issues with my device can I get a deal on multiple repairs? Yes, you can. Many repairs are discounted when combined with other repairs. Call us today and describe your problem and we can quote you a price. 5.) Do you offer any type of warranty on your repairs? Yes, we offer a lifetime guarantee on parts and labor. If you have any issues related to the repair we will solve it free of charge. 6.) Do I have to prepay for my repairs? No, you pay after the repair is completed. 7.) How do you structure your pricing? The price is based on 2 things, the cost of the replacement part and the labor charge. Each price on our website reflects the price of both.